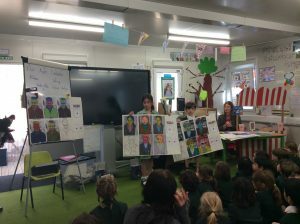 This week, we held Art Day at Deer Park School and the work produced has certainly given us something to write home about! 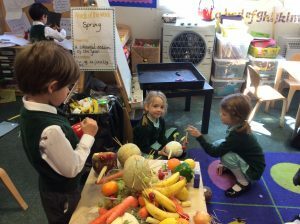 Fawn Class (Reception) focussed on the unique portraiture of Giuseppe Acrimboldo, the 16th Century Italian artist who used fruits and vegetables to depict the human form. 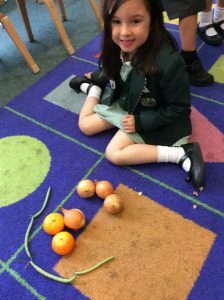 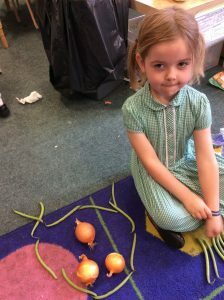 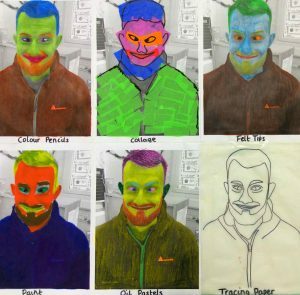 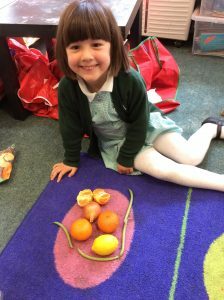 The children used real life fruits and vegetables to create sculptures, prints and even their own stained glass windows in tribute to Arcimboldo, who began his career designing windows and frescoes in local Cathedrals at age 21 (though our Reception pupils are getting a few years on him!). 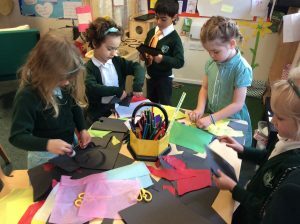 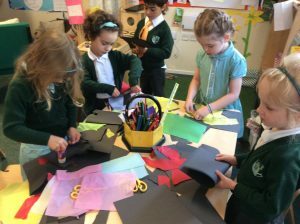 Roe Class (Year 1) looked at the work of Wassily Kandinsky, whose colour study, Squares with Concentric Circles inspired our own abstract masterpieces! 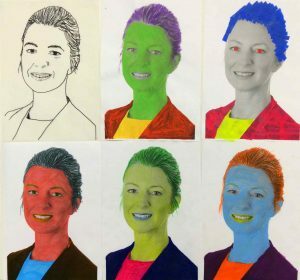 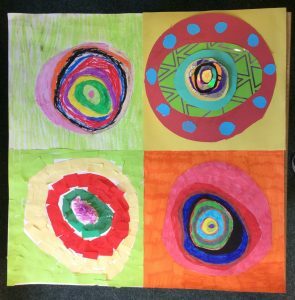 Following a methodology that involved four different artistic mediums, pupils used coloured cards, felt tips, paper and vibrant oil pastels to layer circles upon squares, until we had our very own Kandinsky’s to hang on the classroom walls. 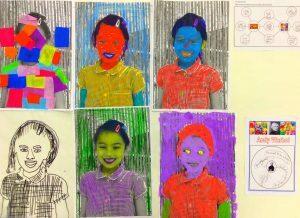 Finally, Marsh Class (Year 2) looked at the pop-art of Andy Warhol. 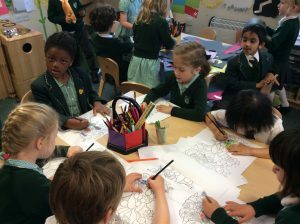 Pupils produced their own series’ of prints using a variety of materials and discussed the ‘mysterious’ artist’s work. 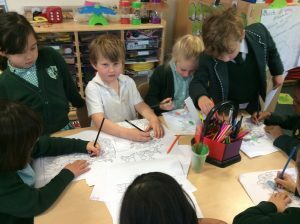 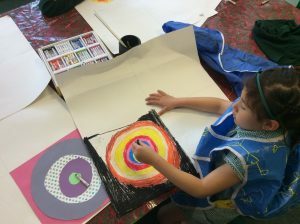 See our own Art Day gallery below!